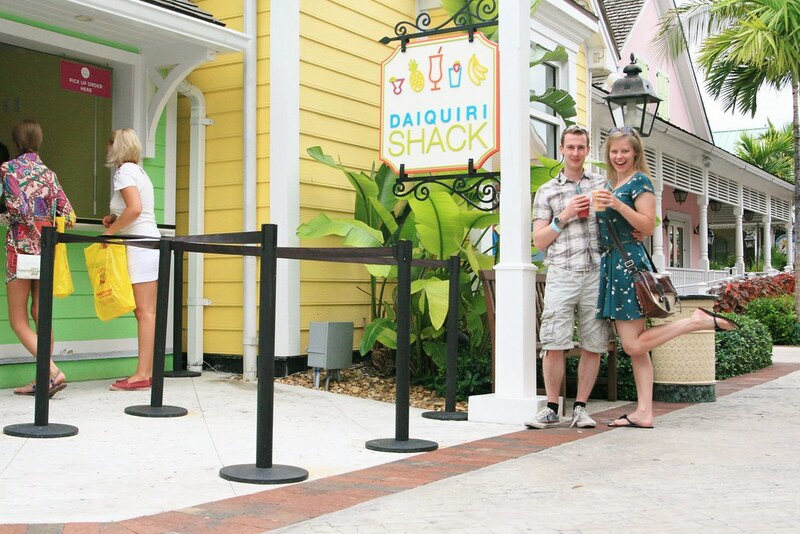 If you ever come across a place called Daiquiri Shack, you must go. There has to be some unwritten rule surely, stating that we all have a duty to visit places whose names are so deliciously tacky that you feel you can’t possibly forgo the experience. 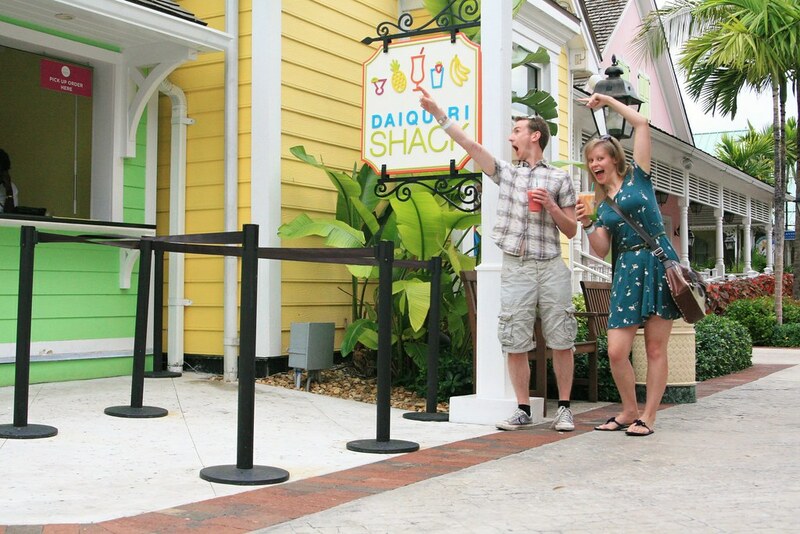 We hit up Daiquiri Shack on our last day on Nasau's Paradise Island resort. Our only error was that we did so following a following a phenomenally large meal that consisted almost entirely of deep fried things with melted cheese. And fries. And possibly even sugary, fizzy drinks with ice cream floating in them. We were on a health kick. Looking to complete such an epic(ally misjudged) dining experience, it seemed as though the time had finally come to sample of the delights of Daiquiri Shack. We sauntered up to the counter, and examined the 6 frozen alcoholic slushies available. The man opted immediately for a rum runner. Quite what’s in it we will never know except that it involved rum and ice. As both of these ingredients are colourless, and the rum runner was certainly not, there must also have been at least one other ingredient. A lurid pink one. I sought the advice of the trusty Daquiri Master at the Helm of the Shack (I don’t know if that’s his official title but I don’t know his name), and he recommended the Pina Colada and the Pink Guava flavours. Mixed together. Mixed! I always love a good chance to mix things together and rejoice in the resulting chaos, so I slurped away on the combo delightedly. It was yummy, as I suppose something made of rum and ice and pink and yellow should be. Another triumph for places with tacky names! And of course, the now-obligatory pointing photo. P.S. I have loved the concept of Mixed ever since that fateful evening some four years ago when I first started volunteering with my Guides. We give them a choice of Orange or Blackcurrant squash for a drink, but if you think those are the only options, you, like me, would be very much mistaken. They patiently explained to me that I should make Orange, and Blackcurrant and Mixed. Some of each. They were right, it’s the best choice of the three, and I've been a convert to Mixed ever since.